BMW's Kastner believes the Europe could learn a lot about future trends from China. 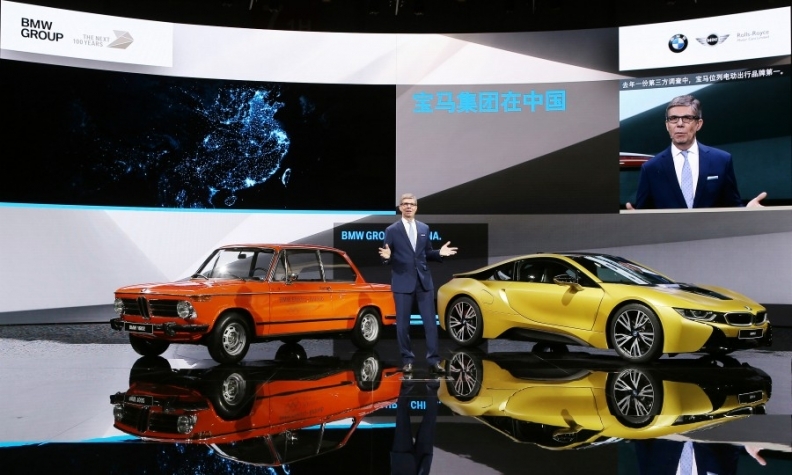 SHENYANG, China -- European automakers looking for a glimpse into the future should study the Chinese market, whose consumers are a decade ahead of their European peers in terms of important megatrends such as digitalization and connectivity, BMW China CEO Olaf Kastner said. China's urban millennials rely heavily on services such as Tencent's WeChat for everything from communicating with friends to paying parking tickets, Kastner said. Shopping via mobile phones during major events such as Single's Day amounted to nearly $600 billion last year, accounting for more than half of all e-commerce sales. The trend toward usership as opposed to ownership is also dramatically more pronounced than in Europe, with ride-hailing provider Didi organizing up to 20 million rides every day, typically paid without cash via services such as WeChat or Alibaba's AliPay. In other words, while the entire European industry discusses the ramifications of a more digitally connected society that is online all the time, China already is living it. "In restaurants barely anyone actually talks to each other anymore since they are all on WeChat. It's astonishing, something you wouldn't find anywhere else to that degree. We believe the development is roughly about 4-5 years ahead of the U.S. and certainly a further 5 years before Europe," Kastner said. "If you were to switch off WeChat for 24 hours then this country would really suffer, considerably more so than if social services were interrupted for a day," he said at a press event at BMW's China joint venture here. Part of this has to do with the extremely young and affluent customer base. The average age of BMW's customers is 35 including Rolls-Royce, whereas in Europe it is 53, and there are no signs that this development will change. BMW estimates that by 2025, close to half of its new car buyers will have been born after 1990 as opposed to 15 percent currently. Kastner said these digital natives think in terms of platforms rather than individual products and divide the world into Friends and everyone else. "They humanize corporations, and a company either has to prove that it fits into their lifestyle or it is are a 'non-friend’ and you are out of their (purchasing) consideration for a very long time." Despite the major trend toward mobile commerce in China, consumers have not yet made the jump to car purchases via smartphones even though BMW is experimenting with the format via web offers or placing cars in Alibaba's virtual shopping center Tmall. This suggests dealers in Europe, where shopping via a mobile device is still the exception, will continue to play a key role for many years to come. BMW tested web purchasing during the market launch of the 1-series sedan at the start of the year. "A customer could purchase the vehicle entirely online but our experience was that the mass of customers made a downpayment via AliPay or credit card, and then headed to the dealer to have a look."